Members of the Colorado Competitive Council in the Engineering and Applied Science Building. 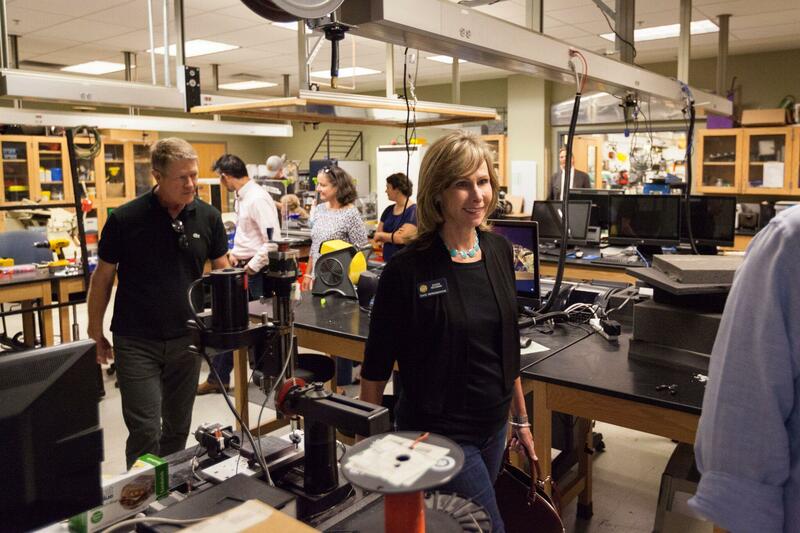 More than 30 elected and business leaders learned about the economic impact of UCCS in a day-long tour coordinated by the Colorado Competitive Council July 26. The council, an affiliate of the Denver Metro Chamber of Commerce, toured campus facilities and learned about the academic and research activity on campus. The group included eight state legislators, split evenly between Democrats and Republicans, and multiple business leaders based in Denver. The tour included stops at the Ent Center for the Arts, National Cybersecurity Center, Mountain Lion Park, Osborne Center for Science and Engineering, and the Engineering and Applied Science Building. The group ate lunch at the Roaring Fork Dining Hall and experienced campus dining the same way students do during the school year. 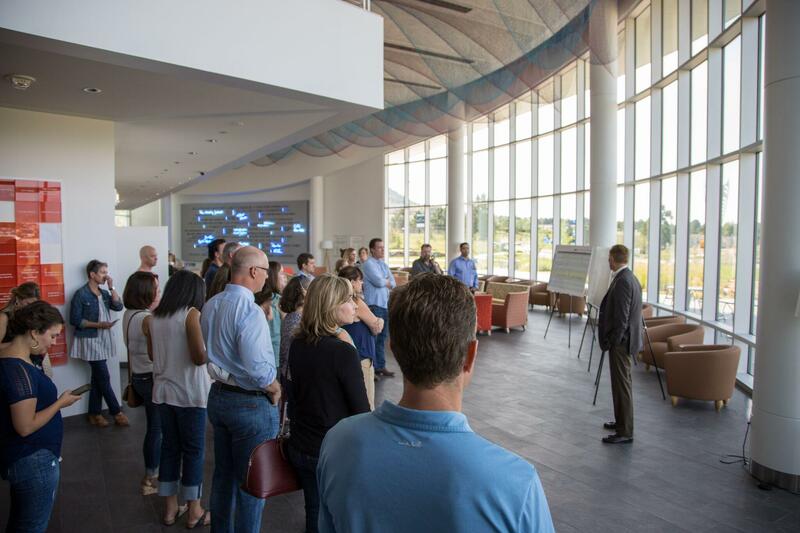 The members were also briefed on the upcoming construction for the William J. Hybl Sports Medicine and Performance Center. 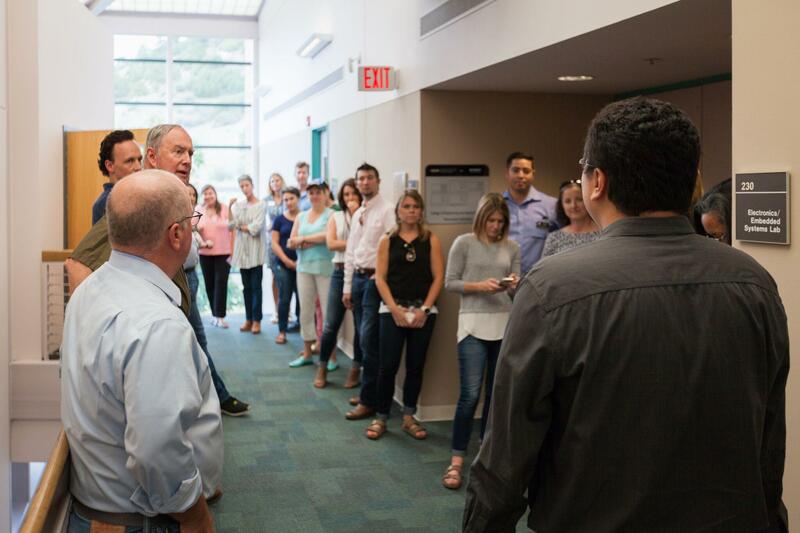 Tucker Walsh, lab manager, Department of Mechanical and Aerospace Engineering, and Xiang Shan Tan, IT program manager, College of Engineering and Applied Science, showed the multiple engineering lab spaces and shared the depth of faculty and student research to the group in the final stop of the tour. The Colorado Competitive Council develops policy solutions that benefit Colorado businesses and ensures that the state continues to be competitive locally and globally. Local representation is provided by the Colorado Springs Chamber of Commerce and Economic Development Council. Members of the Colorado Competitive Council at the Ent Center for the Arts. 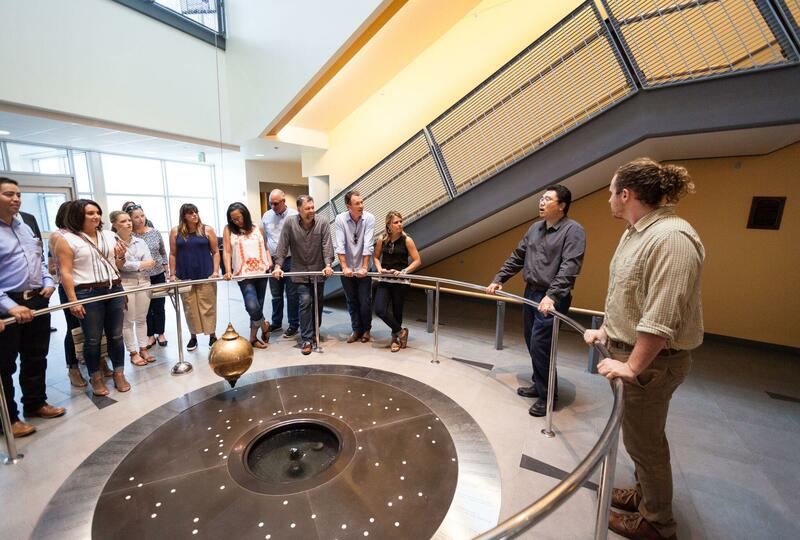 Members of the Colorado Competitive Council in the Osborne Center for Science and Engineering. 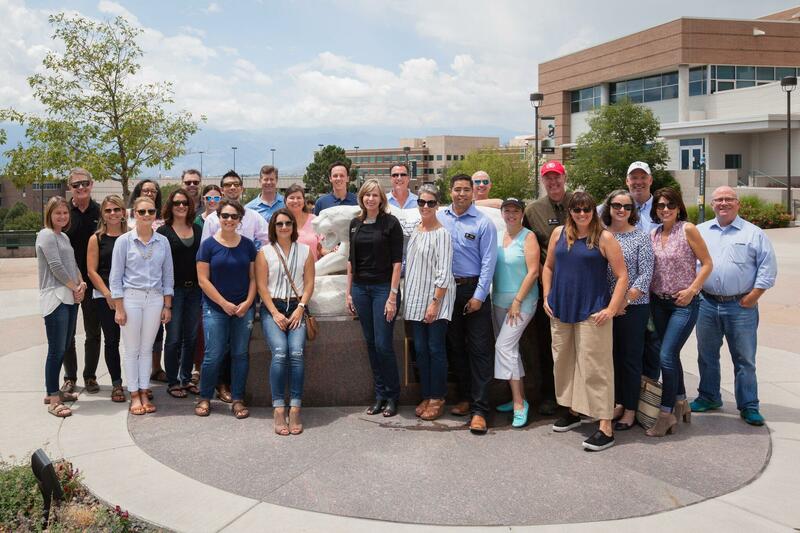 Members of the Colorado Competitive Council pose with the mountain lion statue on El Pomar Plaza. Members of the Colorado Competitive Conference in the lobby of the Osborne Center. 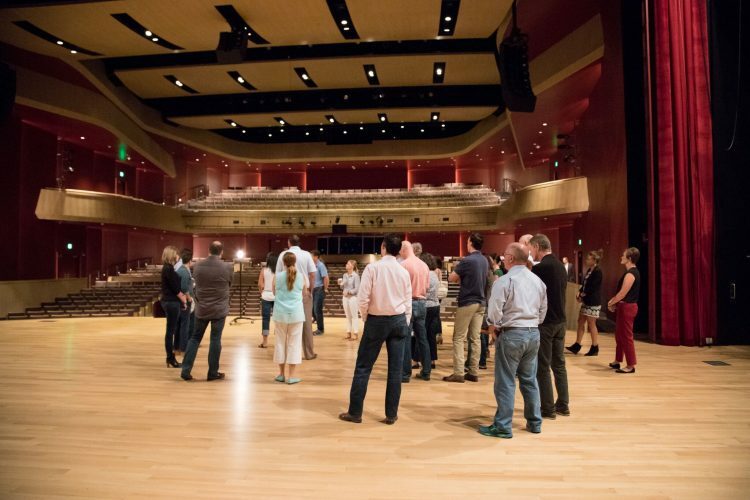 Members of the Colorado Competitive Council on the stage of the Shockley-Zalabak Theater.